Jamie Carragher believes Liverpool centre-back Virgil van Dijk can achieve legend status at Anfield, having exceeded his expectations. 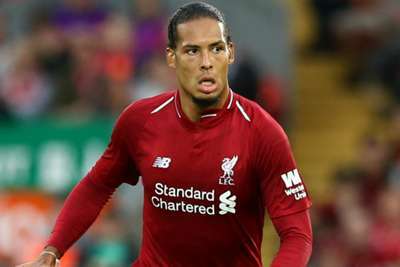 Van Dijk produced another solid defensive display as Liverpool made it two wins from two games with a 2-0 Premier League victory at Crystal Palace on Monday. Liverpool spent in the region of £75million to lure Van Dijk from Southampton in January and the Netherlands international has helped address the club's weaknesses in defence, while leading the Reds to last season's Champions League final. 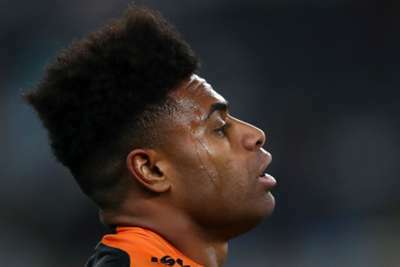 Former Reds defender Carragher lauded Van Dijk post-match and insisted the 27-year-old - who he feels is the Premier League's best centre-back - can go down in Liverpool's history. "I knew Van Dijk was a good player, but he is better than what I thought," Carragher told Sky Sports. "We've always said Liverpool can't win the Premier League because of their defence, but now they have Van Dijk, who I think is the best centre-back in the Premier League. "I can't think of a defender off the top of my head that is better. He's the man to step into the position [Manchester City captain] Vincent Kompany has had over the last four seasons as that leader and colossus. They are very similar as players - there is nothing they lack. When Kompany was at his best three years ago, I didn't think there was a centre-back that was better than him. "If Liverpool under [Jurgen] Klopp win something big, and Van Dijk is at the centre of it, he should be disappointed if he's not alongside Hansen when people talk about the great Liverpool centre-backs. As for Van Dijk, the Dutchman was all smiles after claiming another three points and back-to-back clean sheets as Liverpool fight for silverware this season. "For success you need to do it all together, you win and you lose together," Van Dijk told liverpoolfc.com. "But obviously we are trying to work hard every day and hopefully we are going to keep on building on this and just keep going – that's the only thing for it and be positive. "Obviously we know it is going to be a very tough season so we need to be confident but not underestimate anyone. We will just recover from this and be ready for the next game."